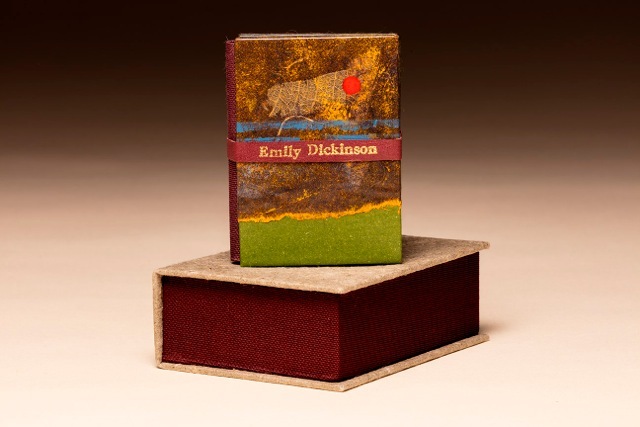 Third in a series of miniature books featuring poems by Emily Dickinson. Presentiment is that long shadow on the lawn Indicative that suns go down; The notice to the startled grass That darkness is about to pass. Accordion structure with hand painted collaged boards. Gold stamped leather band. Cave pale green flax paper reversing to blue Moriki with antique wood type. 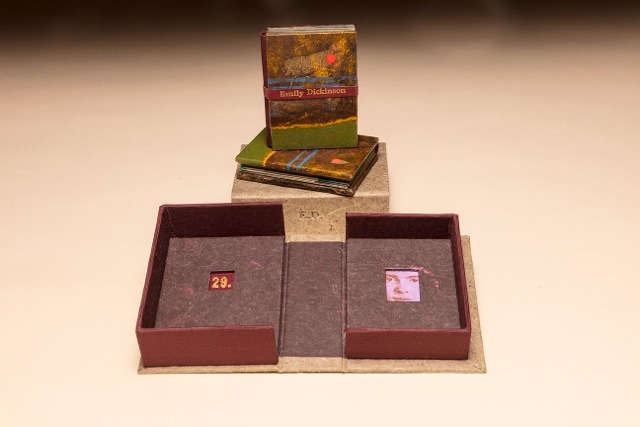 Box covered in Hook paper with blind stamping and leather inset.